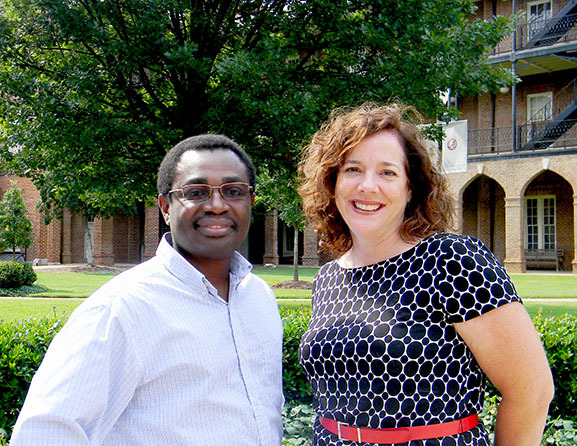 Dr. Roger Sidje and Dr. Lisa L. Dorr are taking on new roles in the College as associate deans.  From the July 2013 Desktop News | Two faculty members have been appointed associate deans for the College. Dr. Lisa L. Dorr, associate professor in the Department of History, and Dr. Roger Sidje, associate professor in the Department of Mathematics, were appointed by Dr. Robert F. Olin, dean of the College. Dorr will administer the College’s social sciences division, and Sidje will manage diversity and multicultural programs. They will assume their new duties August 16. Dorr joined the College’s faculty in 2000. She earned her Bachelor of Arts degree in international relations from the College of Wooster in Ohio and her Master of Arts and doctoral degrees in American history from the University of Virginia. Her research interests include U.S. Southern history since 1865, U.S. women’s history, and 1920s popular culture in the South, among others. Dorr has served as graduate director in the Department of History and on UA’s Graduate Council. She has served as part of the College’s compliance team as a harassment officer. Sidje joined the College’s faculty in 2008. He earned his doctorate from the University of Rennes in France. His research interests include computational mathematics and applications in Markov chains, computational biology, and computational engineering. Sidje taught at the University of Queensland in Australia and the University of Minnesota before coming to UA. Sidje is a member of the College of Arts and Sciences Diversity Committee, which he chaired last year. Dorr is filling the academic position vacated by Dr. Carmen Burkhalter, a professor of communicative disorders, who is returning to the faculty after serving in the College’s Office of the Dean for 12 years, most recently as senior associate dean and senior information officer. Sidje replaces Dr. Jimmy Williams, a professor of criminal justice, who is also returning to the faculty, having served as associate dean for multicultural affairs for 10 years.